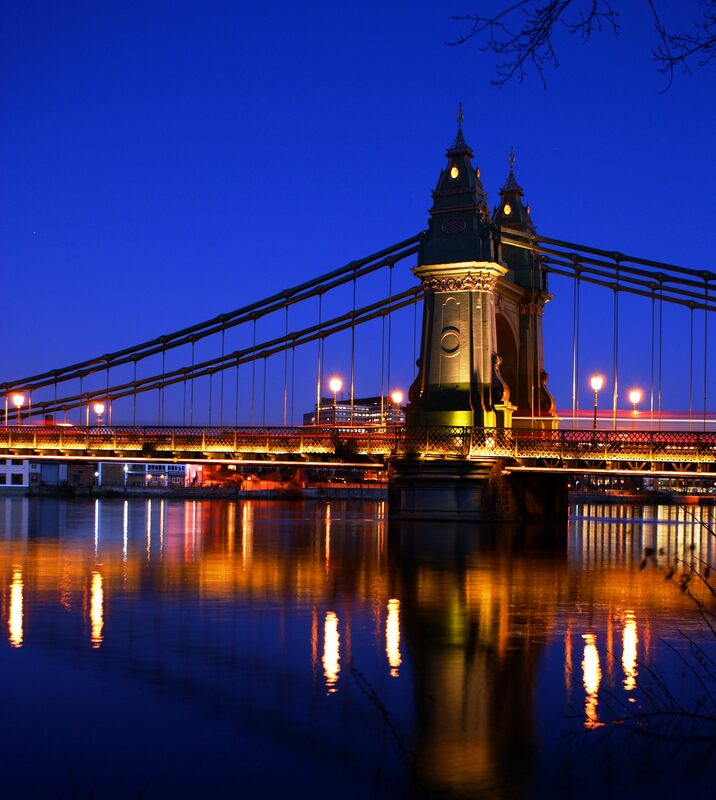 Members of the Hammersmith Society, Historic Buildings Group and HAMRA committees met the team in charge of the major works planned for Hammersmith Bridge. impressive visual presentation about the effect of surrounding developments on the Bridge silhouette and general loss of visibility over time, using archive photographs (small selection shown below) to support our contention that the paint treatment of the Bridge should be revisited so the Bridge is visible, distinctive and can be fully appreciated in longer views. The agreement of Historic England will be needed to any change in the colour treatment, which may be a challenge. We have been pressing the Council – so far unsuccessfully – for us to be involved in decisions regarding the refurbishment of the bridge which is due to take place later this year. As you will all be aware, the bridge is in need of strengthening so that it can support the weight of double decker buses and some lorries.